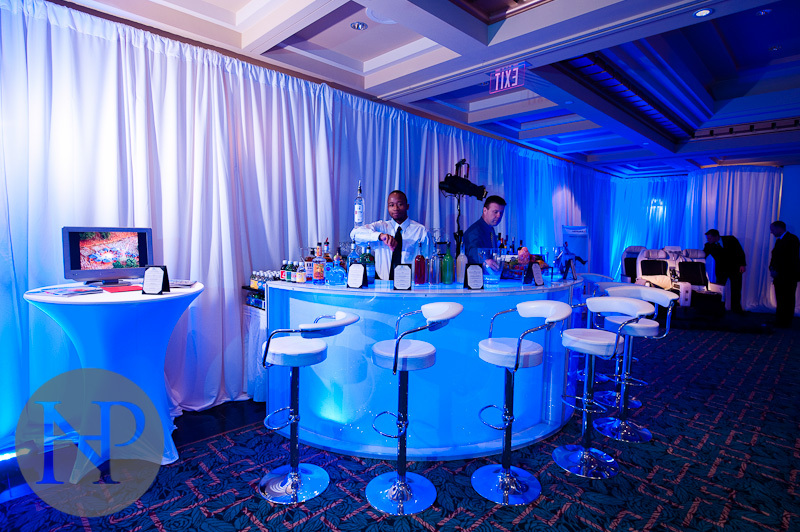 The Sofitel in DC had a great event for Air France & KLM the other week and I figured I'd share some of the images. 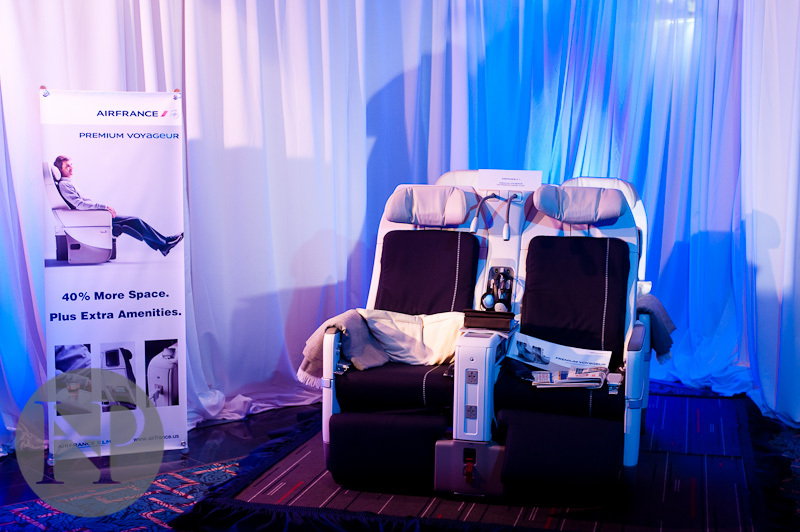 Air France was showing off some of the new amenities they'll have in their 1st Class and Business Class area of their new fleet to some of their top clients and shareholders. 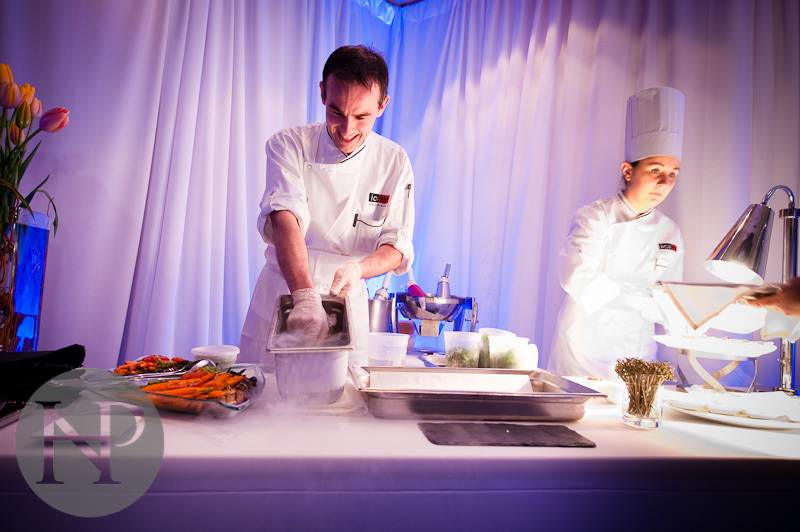 This event was stocked with top shelf drinks, caviar and liquid nitrogen (yeah I said LIQUID NITROGEN!, the Sofitel's chef dipped mint leaves in a yogurt souce and then dropped it into a bowl of sub-zero nitrogen to flash freeze it, making a truly unique frozen treat! 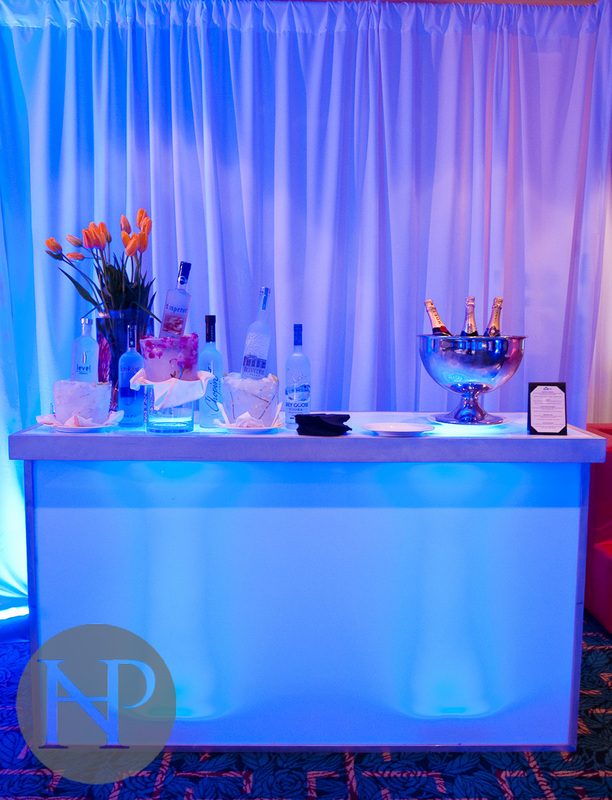 In addition they had two ballerinas from the Washington Ballet to show off how flexible the new seating was for their clients. That's NOT steam, is sublimating liquid nitrogen!